Your website is a powerhouse performer when it comes to sales and brand building but it is also a soft target of hackers and cyber criminals who wield the potential to damage your reputation and operations. Hence, it is very important to have proper safety measures in place so that you are safe from the multiple threats that can attack you at any time. To help you with web security, ColoredWeb offers comprehensive website security services in Mumbai that will take care of every hacker or cyber criminal, lurking anywhere in the vast web world. Our cutting-edge web application security is tailor made to tackle every danger. It can detect the threats at the earliest and also nip them in the bud. Breaches and adventurism by hackers is just unthinkable when you have our protection package. You get 24/7 website security check from us that keeps all your data, web apps, network and important information safe. The 360 degree approach and cloud technology keeps you up-to-date every moment. You can also contact us at any time in case of any emergency and we will do the needful in time. We value your privacy as much as ours and do not think of our security services as mere work that we do in exchange of some fees. Rather it is a duty for us which we take damn seriously. And we know you too are damn serious about your privacy. Website protection is your priority and to ensure the same, you have us. 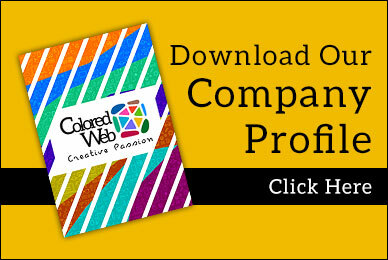 So, make the move with ColoredWeb and take the important step towards staying safe.